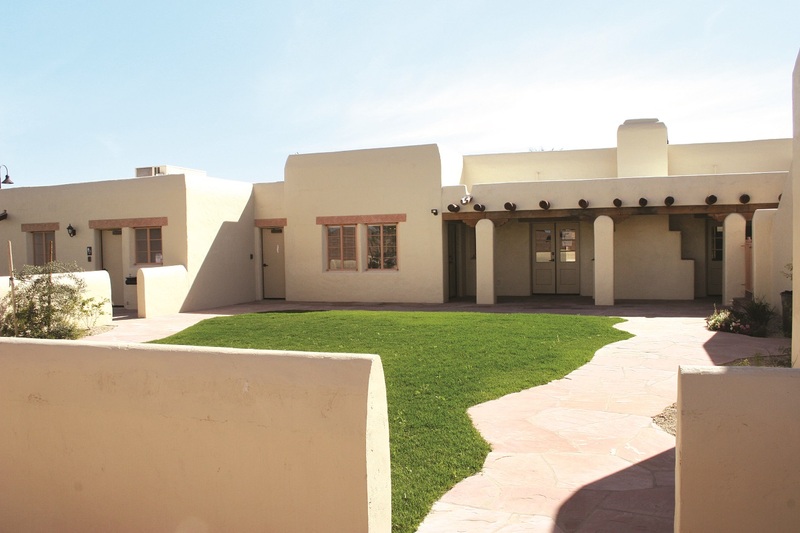 This 1938 Pueblo Revival style home was donated to the City by the Price-Propstra family, renovated and opened to the public in 2007. 300 S. Chandler Village Dr. The McCullough-Price House is a part of the City of Chandler’s Museum Division. 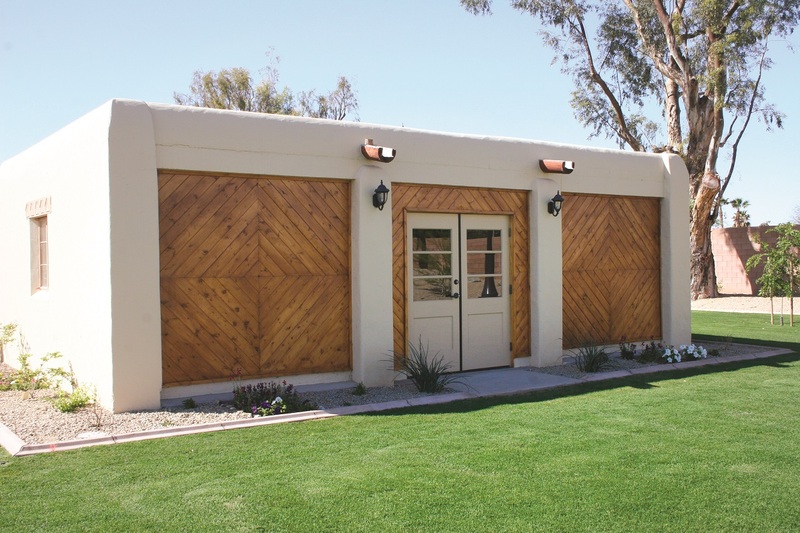 This house is part of the Chandler Museum campus and features changing exhibits in the historic living room. It is also home of the East Valley History Center for rsearchers, open Thursdays 2-5pm. The Chandler Museum is an innovative learning environment where our community comes together to share stories, store our cultural heritage, and experience Chandler as a people and a place. The documentary, "Price House: A Snapshot in Time," details the story of a house whose history mirrors that of the City of Chandler. Built as a winter residence by an affluent Detroit family who enjoyed the frequent visits to Chandler's San Marcos resort, the Price house was once the center of a ranch and farm operation spreading more than 300 acres, but now sits quietly in the shadow of the Chandler Fashion Center Mall. This program relates to its viewers just what makes a building historically significant and how this home in particular touched so many lives - from the well-heeled residents who called it home, to the farm workers who toiled in its fields. The house was built in 1938 by William D. McCullough, a Detroit resident who wintered at the San Marcos Hotel in the mid 1930s. Designed by well-known architects Lescher and Mahoney, the home had four bedrooms, maid's quarters, a roof patio, and built-in barbecue in the back yard. The house sat in the middle of 350 acres of alfalfa and cotton fields, placed half a mile from Price Road. The home eventually was purchased by the Lockhead family, managers of the Pecos Valley Milling Company, located at Pecos Road and the railroad tracks east of Arizona Avenue. 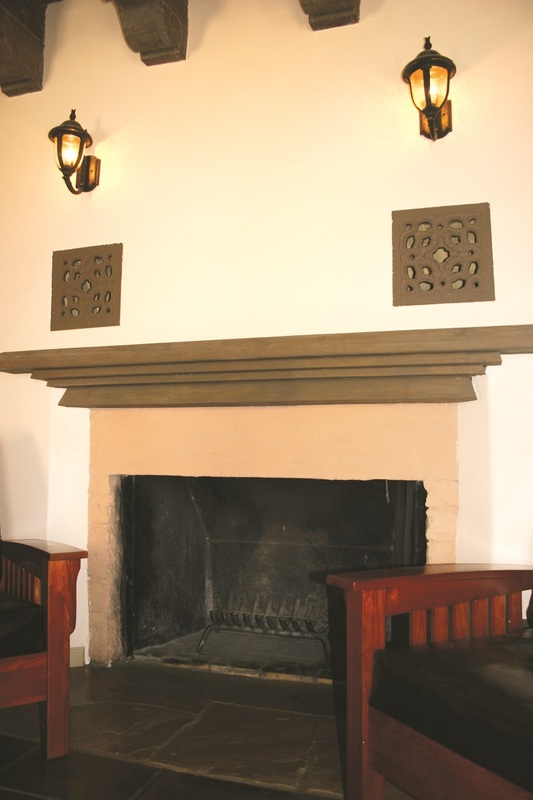 When the home was vacant for several years, the San Marcos Hotel rented the home to visitors. In 1950, the Lockhead family sold the home to Arthur and Louise Price. Arthur had lived in Chandler since 1913, working closely with Dr. A.J. Chandler as a lawyer. By 1930 he had branched out into farming and land development. Arthur was instrumental in drafting Chandler's constitution and by-laws as the first City Attorney. He also became the first Justice of the Peace. Louise, another long-time resident, was the niece of A.J. Chandler, and her father, Harry, was a pioneer resident of Mesa. The two lived in the home until the early 1970s. After the deaths of Mr. and Mrs. Price, the family rented the house out. The land surrounding the Price House remained agricultural until the 1980s, when the Valley-wide housing boom expanded into Chandler's once rural areas. Pulte Homes purchased a large amount of land just west of the Price House and constructed the Hearthstone Subdivision. Retail and subdivision development continued. The house, with its distinctive southwestern flair that contrasted with other traditional farmhouses scattered about Chandler, has remained almost unchanged over time. 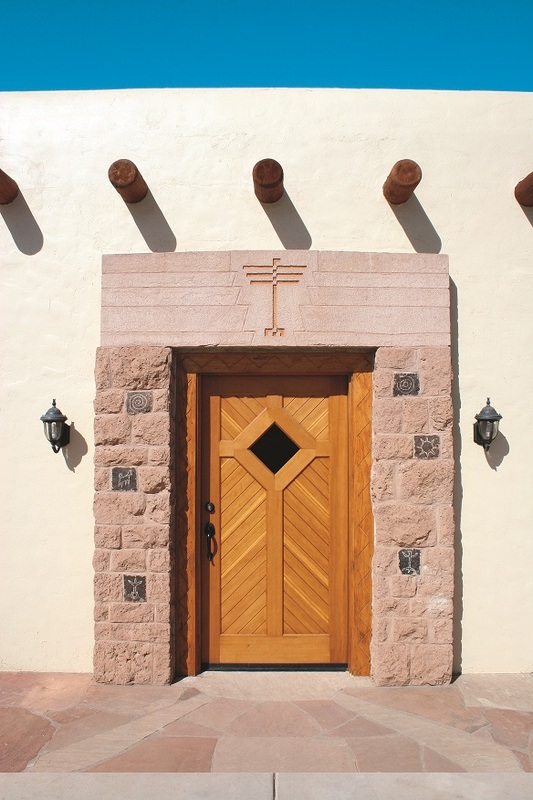 The house combines the southwestern Pueblo Revival style with Neoclassical elements and even a little Art Deco. 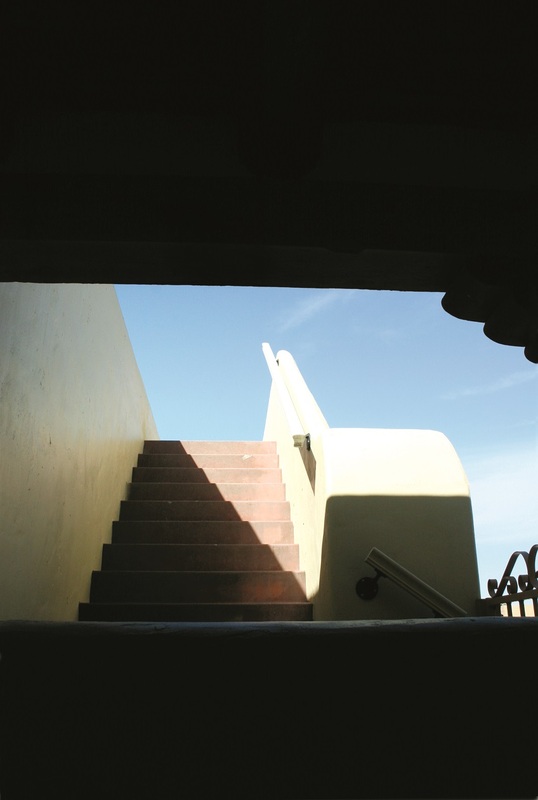 The Pueblo Revival design style began in the late 1890s, inspired by the ancient American Indian pueblos built in New Mexico. It gained popularity in southwestern cities in the 1920s and 1930s. Neoclassical pediment engraved with a thunderbird design. The door itself is Art Deco in design. 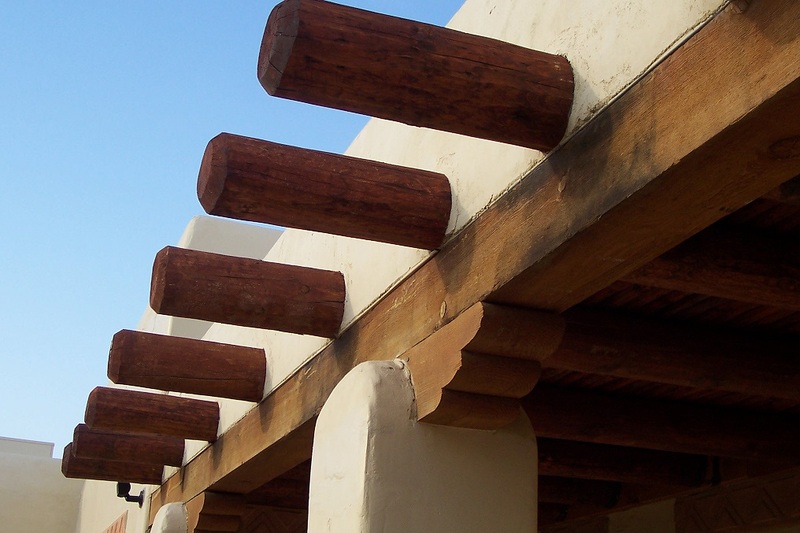 support beams, part of the Pueblo Revival design. 3. 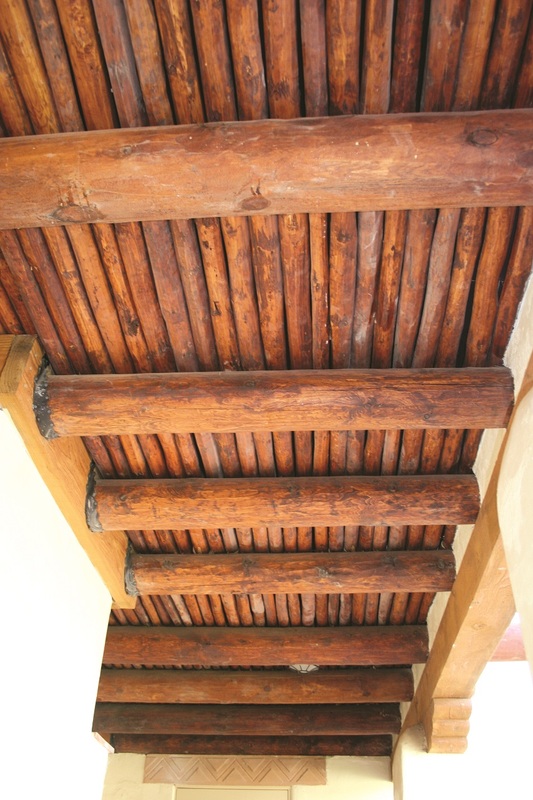 Latillas: hand-split sticks or small beams layered on top of the vigas. These are found on the back porch and the front exterior walkway between the kitchen and the former garage. 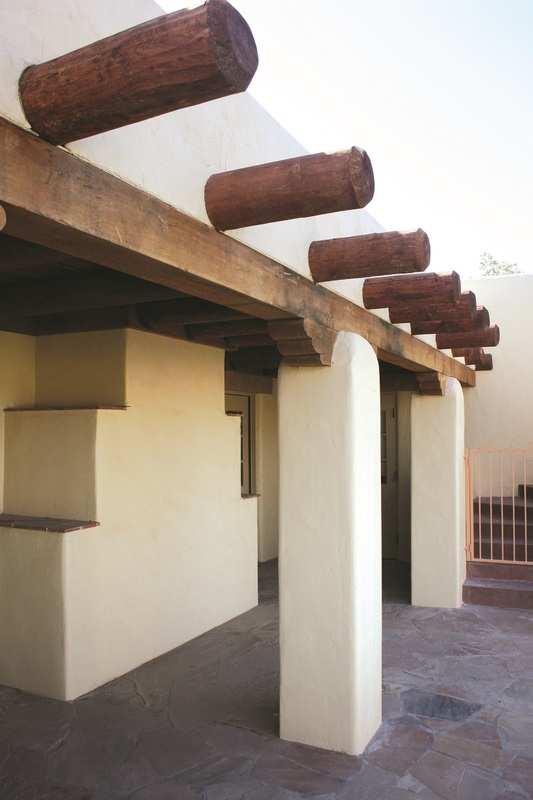 flat roofs typically found on Pueblo Revival buildings. 5. Garage doors: Located on the north side of house, reflect the geometric designs so popular in Art Deco styles. 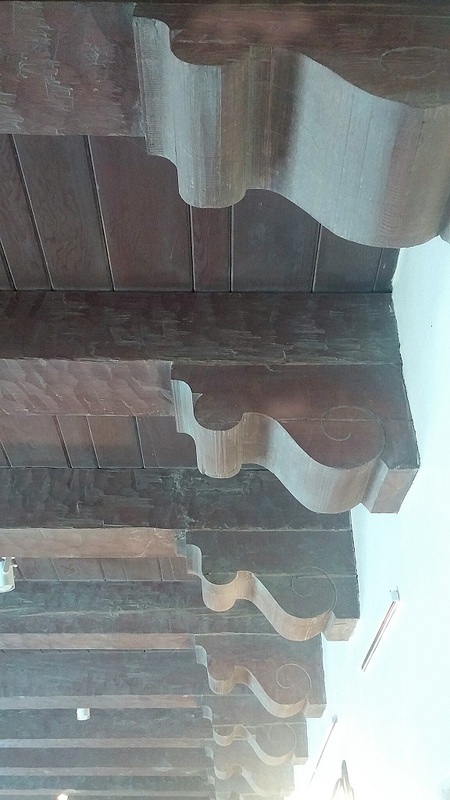 These have been reconstructed as permanent panels. 6. Columns: Find the Neoclassical Corinthian columns on the front and back walkways. capital almost appears to float on the concrete column. 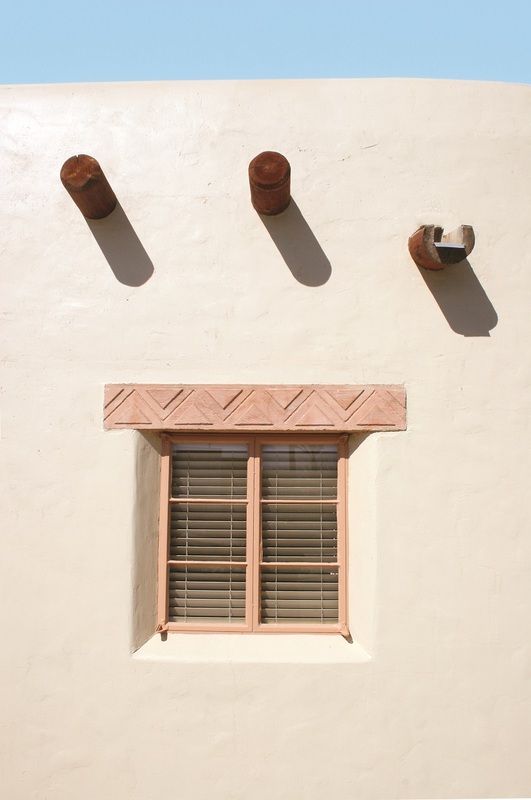 the design on the lintel is Art Deco with a southwestern flair. 8. Rounded corners: Notice the corners on the top of the house and on the chimney. 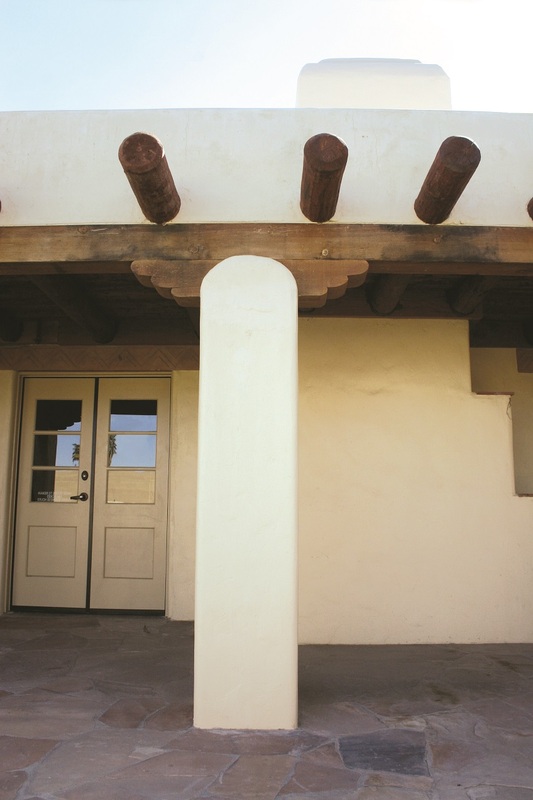 This is characteristic of the Pueblo Revival style. The outdoor barbecue in the courtyard also displays this feature. 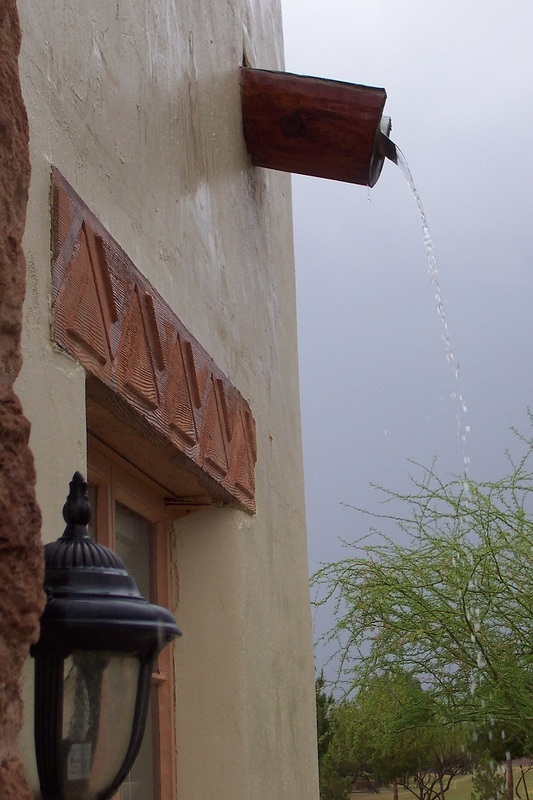 cool evenings or mornings, modeled after the ancient pueblo construction. 10. Wooden beams inside the house: In the main reception area, once the living room, you can see the large southwestern beams with the Neoclassical designed cornices on each end. 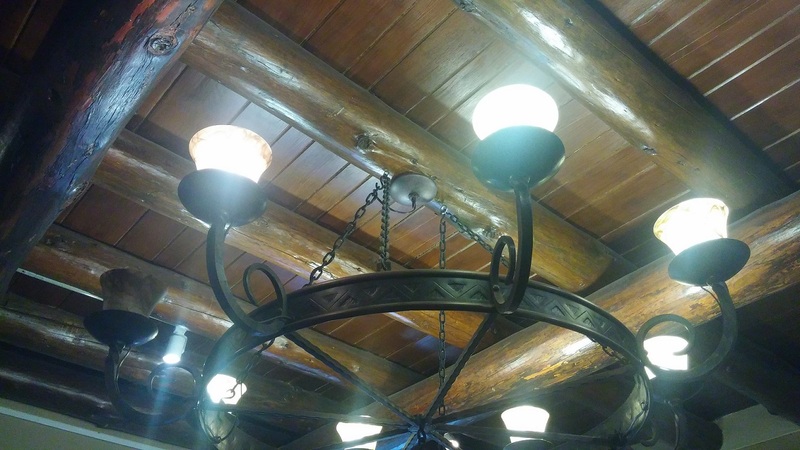 Step into the former dining room to view the unique log beams that are both decorative and structural, tied together with leather straps. 11. 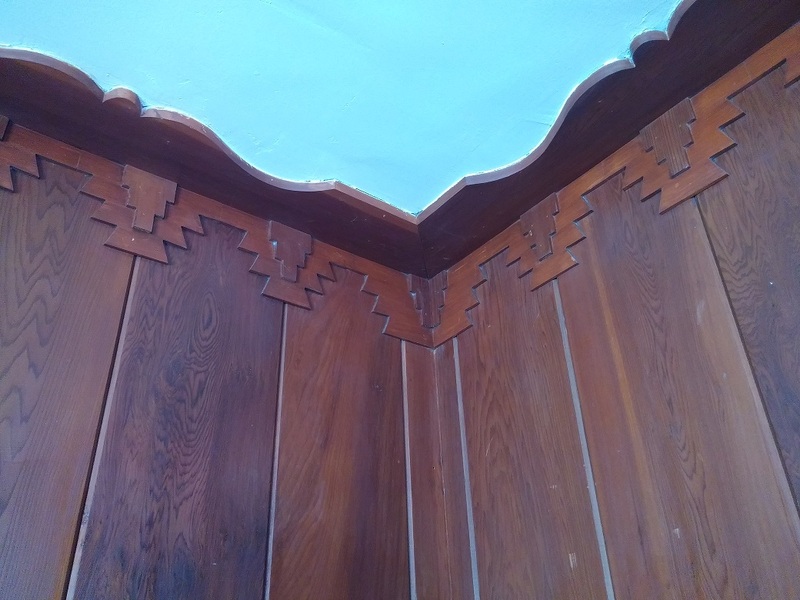 Wood paneling: In the former study look at the top of the walls and notice the design of the wood paneling, which mirrors columns and capitals, but with a southwestern design. 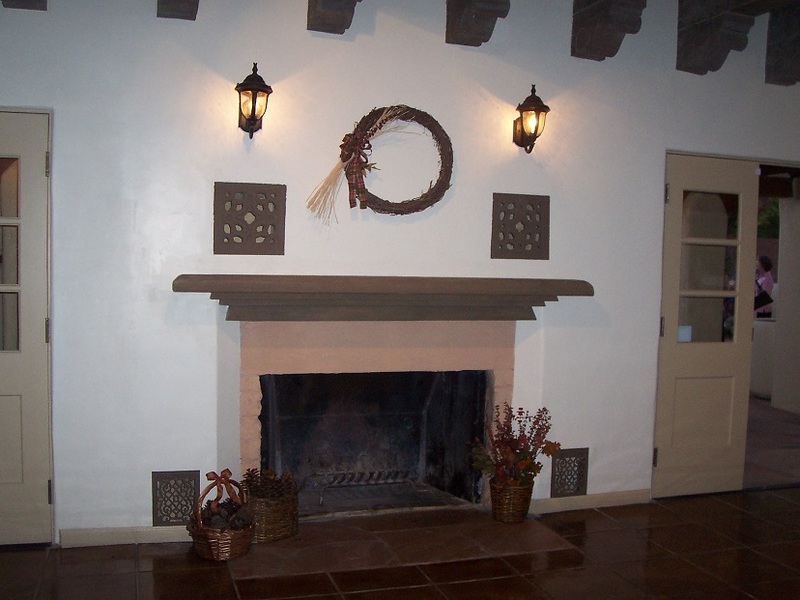 and the simple wood mantle complements the Pueblo Revival style of the home.